The steady increase in worldwide transport tasks asks for improved autonomous solutions. 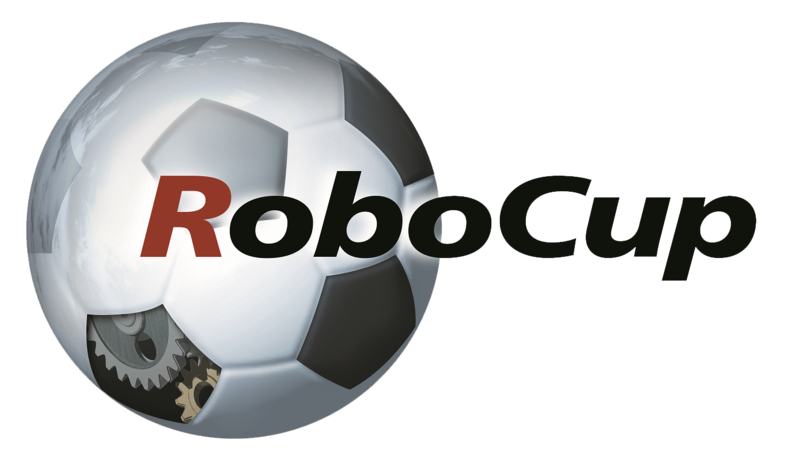 Following the RoboCup spirit this league’s objective is to enable scientific work in order to achieve a flexible solution of material and informational flow within industrial production using self-organising Robots. This next evolution of Automated Guided Vehicles calls for new technologies to overcome present non feasibilities. At present, the competition envisages a kind of hardware-in-the-loop simulation method, i.e. there is a flexible simulated production hall with integrated real mobile robot systems having the task to create an efficient material flow to provide a high rate of product deliveries in due time. CHALLENGE: A team consisting of three robots has to solve the logistic challenges of an almost unknown production system. The Logistics League is based on the robot platform Robotino® of Festo. Participants face no limitations in terms of sensors and their approaches to program the robots. This interdisciplinary challenge in the fields of Mechatronics, Computer Science and Logistics has to be answered with a flexible yet precise autonomous solution to deal with communicating to an order processing, out-of-order machines, express goods, changing delivery gates and a random machine distribution.